Karen Heagle is known for her vivid large-scale works on paper that depict still life, landscape, or animal subjects. Heagle experiments with elements of collage, highlighting her life-sized figures and objects with various leafing sheets. 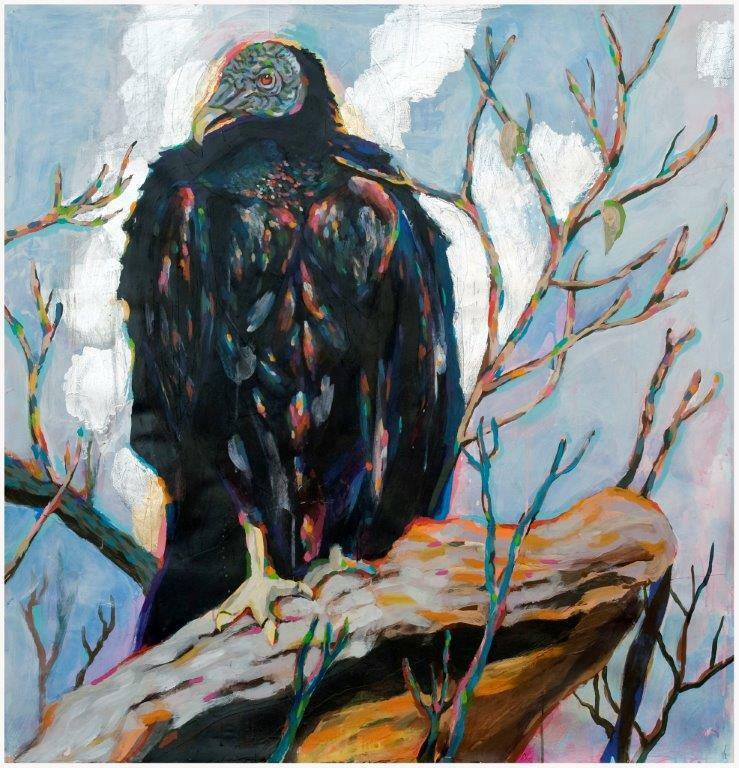 Describing her recent work Heagle states, “I am developing imagery that reflects autobiographical symbolism … I engage my mediums with a blunt yet expressive physicality.” In Vulture on a Branch, she uses the image of a vulture as a proxy self-portrait. Karen Heagle lives and works in New York. She earned her MFA at Pratt and then attended Skowhegan. Heagle’s work is represented in the collections of the Museum of Modern Art, New York; Saatchi Gallery, London; and the Deste Foundation for Contemporary Art, Athens.